Get back the freedom you deserve with a rollator suitable for indoor or outdoor use. This heavy duty bariatric rollator grants its user the confidence to walk in safety and comfort. 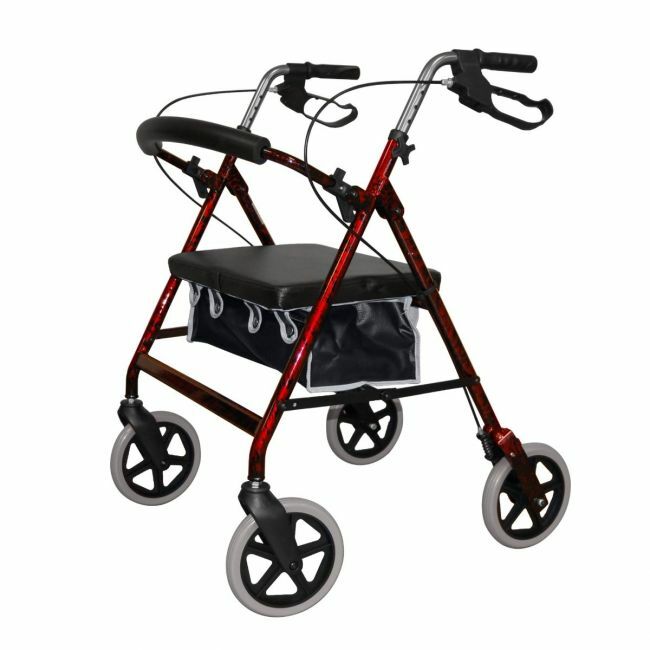 Made with a 20-inch extra wide seat and complete with storage, brakes, and a supportive backrest, this red rollator is ideal for the larger user.